Have you ever put your Mac to sleep, only to find it awake seemingly on it’s own when you return to the machine? I’ve run into this mystery of a randomly waking Mac a few times, and with a few terminal commands you can help track down what caused your Mac to wake from sleep. Do know there are many reasons why this can happen, sometimes it’s a hardware event that causes the Mac to wake from sleep, sometimes it’s software, and sometimes it is something else. This guide will help to determine the reason for any Mac, iMac, MacBook Air, Pro, etc, waking from a sleep state. Yes it is slightly technical and uses the command line in OS X to look through system logs, and you’ll then need to compare a multiple character ‘wake reason’ code to a list shown below indicating what the actual sleep reason is. Let’s get started. Now you’re going to want to look at the code next to the “Wake reason=” text, this is what is going to help to tell you why the computer is waking out of sleep. So what do these wake reason codes mean? We’ll describe each kernel debug wake reason code and what it pertains to, leading you to what is causing the machine to wake up. There may be some other codes (like PCI, GEGE, etc) but the above are the ones that most people will encounter in the system logs. Once you find out these codes, you can really narrow down what is causing your Mac to wake up from sleep seemingly at random. Note: You can also monitor the Wake Reason codes by looking at the Console if you are not comfortable with the command line. However, in my experience the Console is slower to search and use than the Terminal. This is usually because the default string match search in Console will look through all of your system and applications logs, including those from third parties. Thank you to Matt for providing this awesome tip! quick update, seem to have figured this out – in /Library/Preferences/SystemConfiguration/com.apple.PowerManagement.plist, changing keys called “TTYSPreventSleep” from 1 to 0 solved my issue. Not sure why, just saying. YMMV. I always get UHC3. what is that? how to solve it? UHC3 is one USB port of your Mac. If you install Apple Developer Tools, you’ll have two apps for figuring out which it is. I don’t know of any other way to discover that (even System Information doesn’t tell). I recently bought a 27″ iMac. Never had any wake-up problems before, but this new iMac, with Snow Leopard, regularly wakes up: last night, according to the log, it woke up four times. The syslog indicates two reasons, EHC2 and RTC, but these don’t say how to correct the problem, of course! Could it have something to do with the wireless (Bluetooth) mouse and keyboard? I have had exactly the same problem over the past couple of days! Any joy with a remedy? It’s the year 2016 and I’m still enjoying Snow Leopard on a Steve Jobs-era mid-2011 iMac. Ran across this sleep/wake problem just this year and I am so thankful that this article and it’s comments are still up. Thanks from 2016 for the knowledge from 2010! You’re awesome. 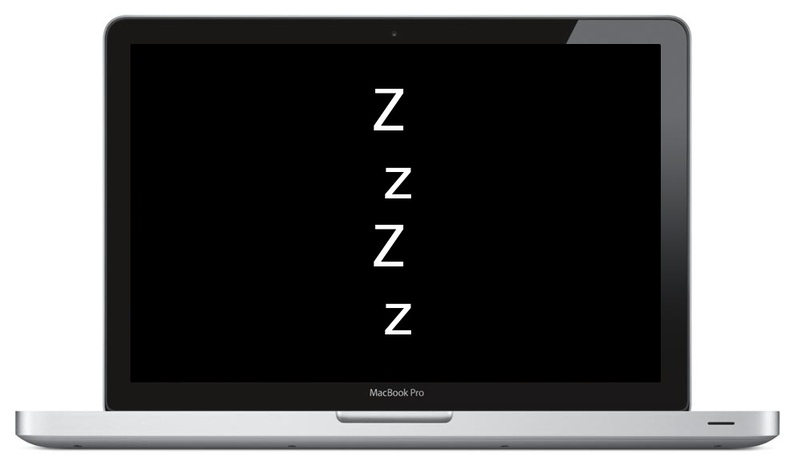 I have been working on sleep issues on my MacBook Pro, OS X 10.6.6. After I uninstalled HP Printer and WD External Disk programs, now my MBP sleeps but it goes to sleep very late. For example, I set Energy Saving to 2 minutes to sleep. But my MBP goes to sleep after 15 minutes instead of set 2 minutes. Why is it so ? How can I solve this problem ? Here is the console messages, so that hopefully someone can help me with this issue. In this console log, I leave alone my MacBook Pro at 12:26 PM and first time I see a message about Sleep at 12.34 PM. I should have see a sleep message at 12:36 PM, because it is set for sleep 2 minues in Energy Saving settings. 24.01.2011 12:26:46	[0x0-0x3c03c].com.apple.systempreferences	Couldn’t find any matches. 24.01.2011 12:32:59	awacsd	EAP-GTC failed. Retrying in 3600 seconds. 24.01.2011 12:34:57	configd	PowerManagement configd: System Sleep prevented by active remote login session (120 second threshold). 24.01.2011 12:40:35	kernel	AirPort: Link Down on en1. Reason 8 (Disassociated because station leaving). Thanks for this tip. My new MBP + cinema display is waking from sleep, but my 2007 MBP was doing this as well for over 2 years. Log reveals that EHC1 is waking my machine, and at 4 AM last night woke it every few minutes until I finally pulled the power cord out. EHC2 seems to be a BT trigger, so EHC1 covers my USB devices. Will be unplugging them one at a time until (if) the problem goes away. Maybe it’s a peripheral that doesn’t play nice, but I am not optimistic. My new iMac also wokes up from sleep. m.skype.skype WirelessAttach’: IOServiceOpen error: e00002c7. Is it skype that wakes up my mac? This will stop your laptop from waking up when lid is lifted – you will have to push your keyboard, but it worked for me and I’ve tried all solutions I could шватв – doubt 20 all together. I cannot guarantee this worked with 100% certainty because it hasn’t been 2 weeks since implemented, but try it and if it doesn’t work change it back if you prefer. Thanks, Caspar! I ran into that same thing and was just about to post about it. What the heck; I’ll post it too. is EC = Enhanced Controller? I had the airport off and bluetooth off, and my Imac still wakes immediately after I put it to sleep. any suggestions? Did you ever find a fix for this? Does a command like this exist for seeing what wakes the display? I’m definitely no expert. Has anyone a clue? Should I use another command after “syslog”? For those of you aren’t getting any response, the right string (on Lion, I suppose) is “Wake reason :”. So I’m not quit sure where to go from that information. Has anyone else seen anything like this? I am facing the same problem, but it happens only when on power and not on batteries. When on power and the lid is closed, the sleep light goes on and off exactly 6 time and it wakes up by its own and goes back to sleep again. And the loop is end less. While I’d like to find this article useful, none of the commands mentioned are working at all. Any other ideas? Here the same with Lion. What is the command to see the wake reason??? syslog | grep -i “wake reason” is the correct command! The name of my computer is different and there are only a few of these mixed in. My problem is that when I close my computer the apple goes dark then turns back on and the drive starts spinning until I open it in which case it goes into sleep mode for about a minute. NONE of the commands work on lion!!! I’m desperate!!! All of them give me no response or the no file in directory thing. Do like me: avoid the Terminal and search in the Console. Why wasting time with so abstract things that are Unix commands? HOWEVER, I’ve found that EHC could also mean when your macbook is with the lid open and in sleep mode. When you press any button and it wakes up, thats going to show up in the logs as EHC2. I’m running Terminal and it’s telling me “: Wake reason = USB7” or sometime with “USB4.” However, I have no USB elements plugged into my laptop. Any ideas, people? I’ve having the same problem as you John, did you find a solution to this? You have to remember Bluetooth (among others) is also connected to USB internally. Mac OS X 10.4, doesn’t work. syslog does provide a log, but it doesn’t have any entries for “wake reason” even during the time when it did wake up. For other’s reference, USB devices include iSight, IR port (remote IR receiver), keyboard and trackpad, and bluetooth. iSights are mostly USB. Originals were FireWire. Thanks for this post, just wanted to post in case it helps others out. I had the same problem with an early 2009 Mac Pro. The problem turned out to be an extra keyboard that I had connected directly to the back USB ports of the MAC. Thank you so much for this post, finally solved that problem w my MBA, now all i have to do is remember to unplug my usb hub Before I close the lid! I was having this same problem and the wake reason that I was getting was XHC1, which appears to be related to the USB ports on my MacBook Pro. In my case, the culprit was a hard drive docking station that was turned on, but did not have a hard drive plugged into it at the time and was not making any noise so I had no idea it was still on. I also had no idea that it would try to communicate so actively with my computer. I hope this saves somebody out there and a lot of frustration. My computer is a macbook with Leopard 10.5.8. Nothing is connected to the machine except a power supply. No bluetooth devices are present. In the middle of the night I heard the disk making its humming sound when the lid was closed. The computer woke. When I opened it the screen stayed blank, like the computer crashed in some weird way. So I did a cold reboot. It did a Hum-Hum-Chime sequence twice before successfully rebooting. In a previous situation the computer woke while closed, and the fan was running furiously as if it were hot. It had to be rebooted then as well. The “Wake for ethernet network administrator access” is set, but nothing is plugged in the ethernet. Something would have to wake it up through the airport. I get XHC1. For me, if i put my Mac to sleep and then leave the house I come back to find the music playing. Anyone know of any settings in Music program that could be causing this issue? This article was so helpful to me! Just in case someone’s searching for this, I found one reason why my Mac Pro was not going to sleep: the display would shut down, but the keyboard/mouse would stay powered up, and the power light on the Mac would not switch to “sleeping”. The reason was the printer driver: It had gotten into a state where a print job that was polling for my printers supply-level state had stalled. It makes sense that you don’t want your computer shutting down in the middle of a print job, but this one was never going to complete. I had found the problem by firstly noticing that there was a CPU spike every minute or so, and then wrote a quick program to capture the output of “ps” every 10 seconds. Found the culprit as one of the printing processes. Once found, I saw that in the print dialog the printer was marked as something like “Idle, Processing”, which seemed odd. Since there was no actual job in the print queue, I could only solve the problem using “Reset printing system…” (Right-click or control-click in the list of printers window). I get a “Most system logs have moved to a new logging system. See log(1) for more information.” message. What does it mean? NOTE: Most system logs have moved to a new logging system. See log(1) for more information. My Mac turns on by itself with a black screen sometimes, but when I put it to sleep it goes to sleep but then the screen lights up about a minute after. Need help! Help! Why does my computer wake up after I put it to sleep? The command must be inputted correctly into the Terminal. You can also try the console or log command. The command line requires exact syntax otherwise the commands will not work properly. If you are unfamiliar with the command line, it is best not to use it. You can manually look around in your “Console” application as well, found via Spotlight or in Utilities folder. Not a single one of these has provide a clue that fixed my issue. Been all over System Preferences. Looked at WiFI, Energy Saver, But Tooth, Network, Desktop & Screen Savers. Turned off everything I can think of. Still wakes up for no reason. What does the message AM kernel: Wake reason: SPIT (User) mean? ?